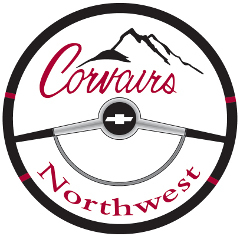 The Corvairs Northwest Fall Tune Up, held at Kent Sullivan's garage on Corvair Lane, was a very successful event with very good participation, and an excellent spread of potluck dishes. There was actually some work being performed on Corvairs, but I consider it as a great swap meet, and social event. Ruth Hintz asked us to sell of Paul's Corvan, and the many parts he had strewn about his garage. Thee were some great deals, and I am sure everyone was happy with the results. Those items that were not sold were given away, and the Corvan was purchased by CNW member Dan Gabbert.